Poland is another country in Europe in which electric buses are starting to take off. In the next few months, the capital Warsaw will receive a fleet of 10 all-electric buses from Polish manufacturer Solaris. 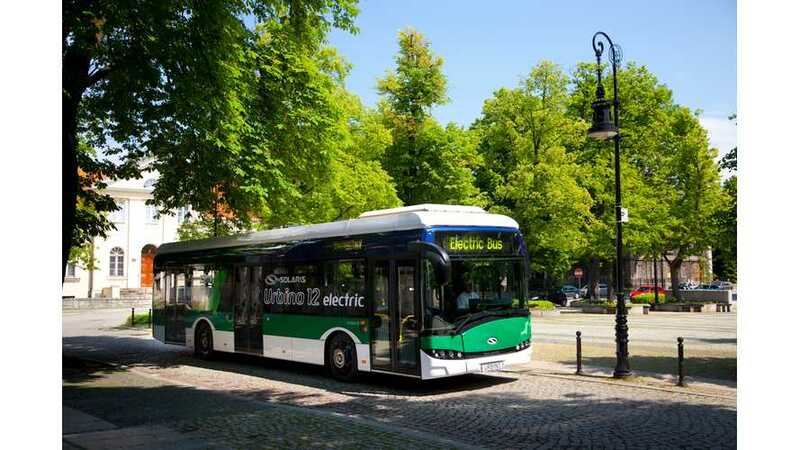 Solaris' electric buses are in Germany with wireless charging too. The vehicles are 12 meters long and will have 200 kWh battery packs. "On 17th December 2014, representatives of Warsaw City Bus Company (Miejskie Zakłady Autobusowe, MZA) and Solaris Bus & Coach S.A. signed a contract for delivery of ten Solaris Urbino 12 electric. This is the first order of this size for battery buses in Poland. The first of these clean and quiet electric buses will be delivered to MZA in May 2015. Deliveries will be concluded by June next year. The Solaris Urbino 12 electric for Warsaw are fitted with 200 kWh batteries and 160 kW traction motors. Batteries will be charged with the use of a conventional plug-in connection. Furthermore, the charger is provided with an option to lower the charging power to 40 kW. 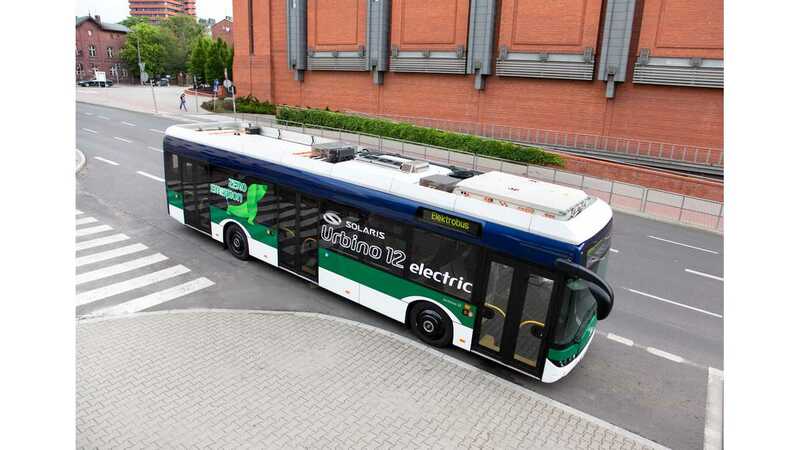 The construction of the Urbino electric offers an alternative to mount another charging system in the bus – a pantograph installed on the roof." “We congratulate MZA on this forward-looking investment in the technology of the future. We want to confirm to the people of Warsaw that the buses ordered are European quality products of highest standards. We are proud that it is Solaris which will have the pleasure of delivering electric buses to Warsaw City Bus Company. Purchasing electric vehicles is putting MZA among the leading and most innovative public transport operators in Europe."